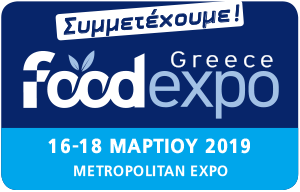 “Sakis” as a leading company in the Greek confectionery industry, is participating once again in the Interantional Exhibition “FoodExpo 2019“, which takes place in Greece from 16 to 18 March at the Metropolitan Expo (Athens Greece)! Our company will presetn our wide range of products and to advertise our new ones to professionals visitors. Join us in Hall 3, stand B34. We are waiting for you!